Return to the Bureau of Public Health Pharmacy home page. The Bureau of Public Health Pharmacy (BPHP), is located within the Division of Emergency Preparedness and Community Support, partners with county health departments (CHD), department program offices, and other health service entities by providing supplies for clinical provisions and pharmaceutical needs. These partnerships provide health services for several programs such as: STD, Epilepsy, TB, HIV/AIDS, Diabetes, PKU, Immunizations, Vaccines, Family Planning (contraceptives and devices), CHD General Clinic and Rabies Services. We also supply products and services to the Department of Corrections through an interagency agreement. 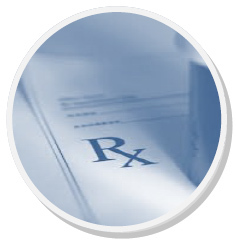 We procure products through a 46-State Group Purchasing Organization (GPO), Minnesota Multi-State Contracting Alliance Pharmacy (MMCAP). We act as the state’s central pharmacy for Aids Drug Assistance Program (ADAP) as the eligible 340B Public Health Service (PHS) entity. 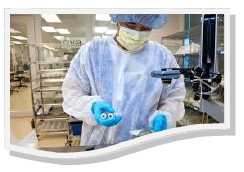 We practice continuous quality improvement through training and analysis. We incorporate Lean Six Sigma and cGMP (Good Manufacturing Practices) training on a regular schedule to ensure that the bureau continues to provide opportunities for workforce development to staff. Data analysis (quantitative and qualitative) is emphasized in all areas of operation through a systematic approach. Trends provide information to identify opportunities for improvement. The BPHP is key to preparedness and response. We also coordinate with the Bureau of Preparedness and Response and ESF-8, as well as the CDC for Strategic National Stockpile plans, movement and support for natural and man-made disaster responses. Our bureau chief and other health care professionals serve on the Pharmacy and Therapeutics Committee, which is an evaluative, educational and advisory committee whose purpose is to provide the most economically advantageous and effective medications.